Watchstraps are front and center, with such brands as Montblanc, IWC, Roger Dubuis, Vacheron Constantin and Jaeger-LeCoultre, among others, putting some well-placed focus on what keeps those cherished timepieces affixed to our wrists. IWC and high-end Italian shoe manufacturer Santoni have combined forces to create straps manufactured by hand exclusively for IWC Schaffhausen. 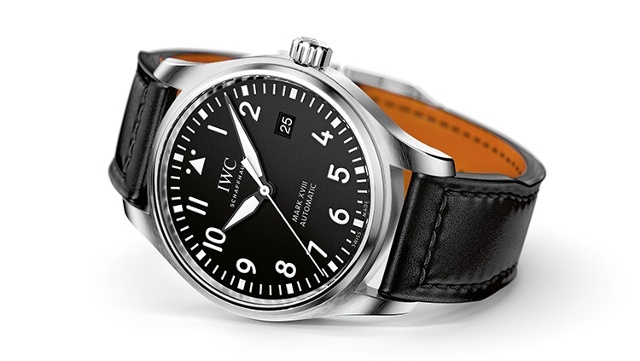 We are now supplying almost all our Pilot’s Watches with top-quality calfskin straps from Santoni, explains IWC Creative Director Christian Knoop. By doing so, we are bridging the gap between tradition and contemporary elegance. Straps for pilot’s watches were always made of hard-wearing calfskin or cowhide. It was the material used for the straps on the Big Pilot’s Watch, he continues. But we wouldn’t be IWC if we didn’t make our straps an experience in their own unique right. On the outside, they have the typical Santoni patina that makes completely new leather look as if it had several years of careful use behind it. The brand is then made even more recognizable by the soft, orange leather lining. Montblanc employs its own pelletteria (leather goods workshop) to fashion the straps for many of its collections. As an example, the new Montblanc Heritage Chronométrie Collection Twincounter Date features a black alligator strap created in one of Italy’s well-known centers of creativity, Florence, where the workshop is located. To mark the 85th birthday of the Reverso watch, Christian Louboutin lends his genius to the 2016 Atelier Reverso collection. Driven by a passion for shoes, this talented designer’s collections for both men and women are world renowned for their glamour and sophistication. 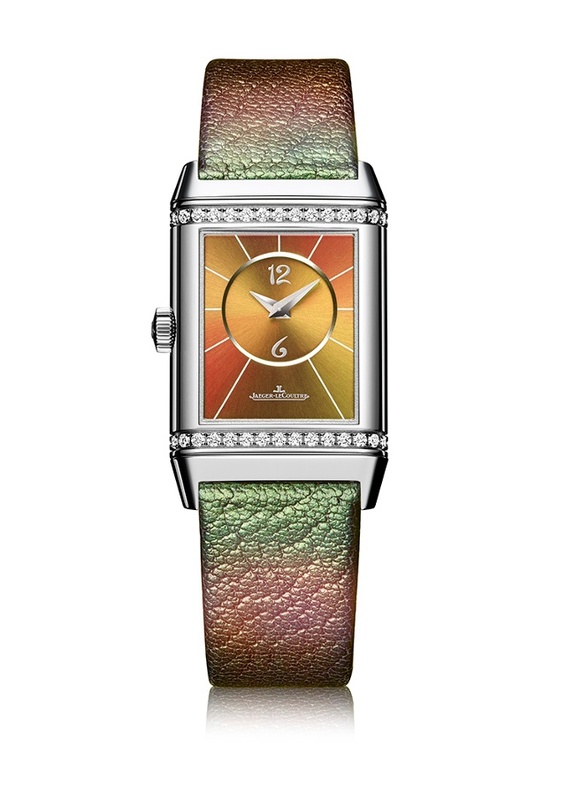 Shown here is an example of a Louboutin-inspired Atelier Reverso dial-strap combination. 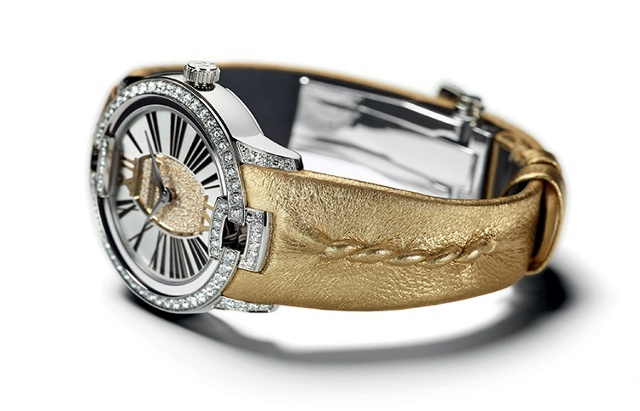 With a focus on its ladies watch collections for 2016, Roger Dubuis Creative Director Alvaro Maggini set out to create a glamorous stage recalling the Golden Age of Hollywood, and the Parisian brand Massaro seemed the perfect fit for a collaboration. Like Roger Dubuis, the maison enjoys daring and iconoclastic interpretations of its art. And also like the watchmaker, Massaro is dedicated to hand workmanship and the use of innovative materials and original designs. Shown here is Velvet by Massaro with a pleated leather haute couture gold strap co-designed by the shoemaker. 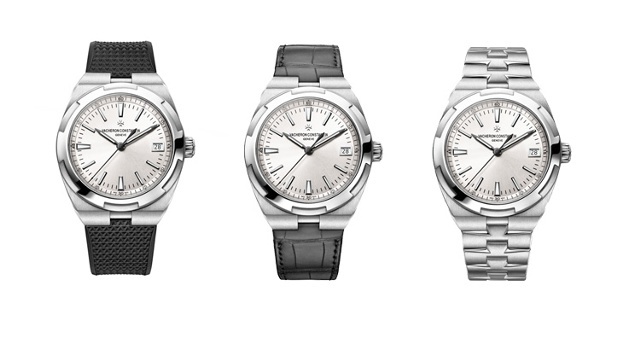 Vacheron Constantin’s new Overseas models offer easily interchangeable stainless steel or precious metal bracelets, as well as leather and rubber straps. And for utmost ease, an interchangeability device for the bracelets and straps and the folding clasp secures them in place without any need for tools. This emblematic collection, equipped with automatic Manufacture movements, embraces three new calibers and five new models this year.